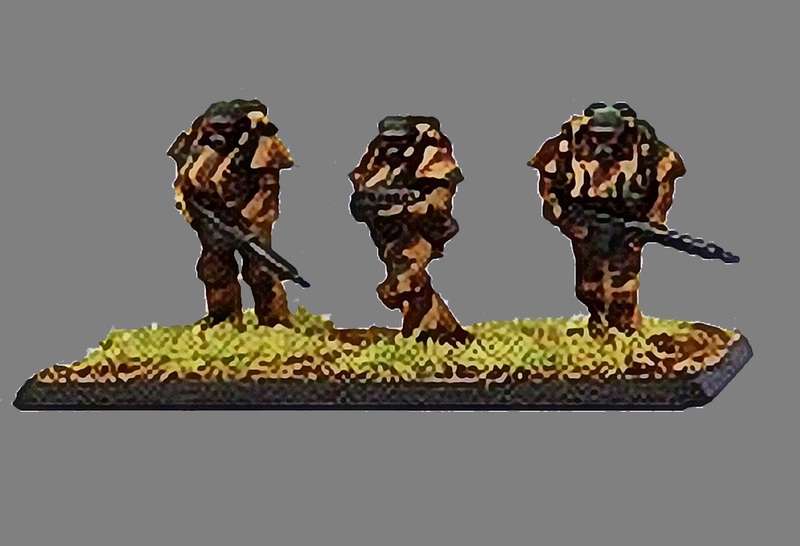 Blister pack contains 18x15mm finely detailed German Heavy Infantry Trooper models (6 sprues of 3 figures) and 3x15mm German Heavy Infantry Specialist models, consisting of Officer, Heavy Weapon and Communications Specialist (1 sprue of 3 figures). 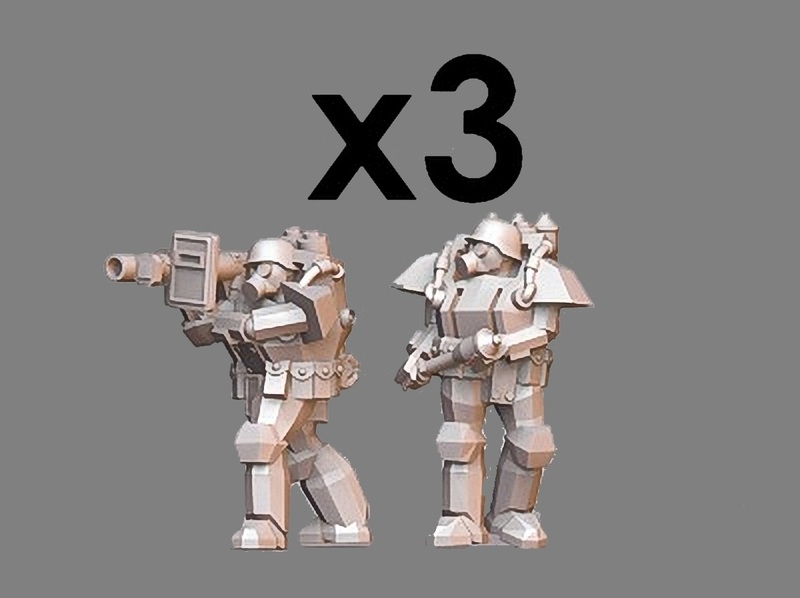 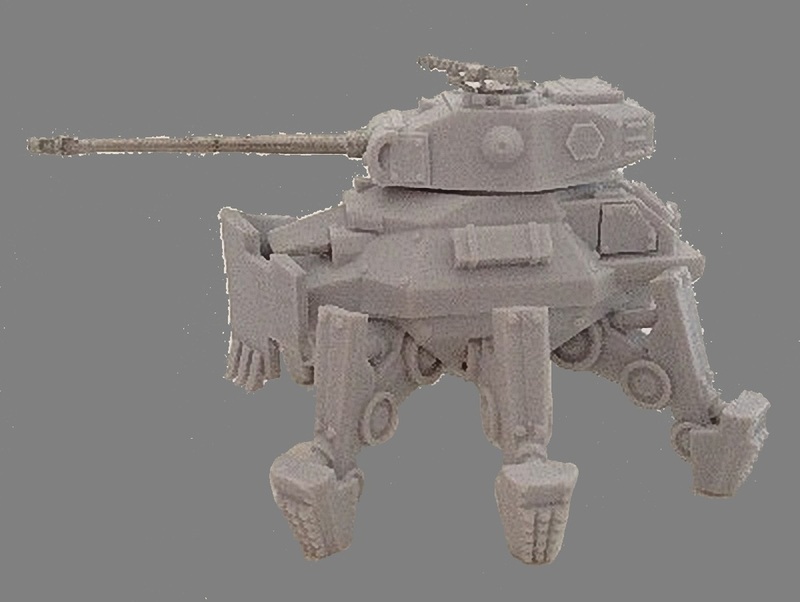 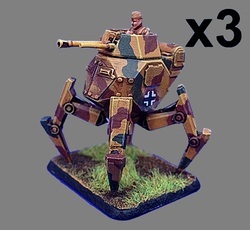 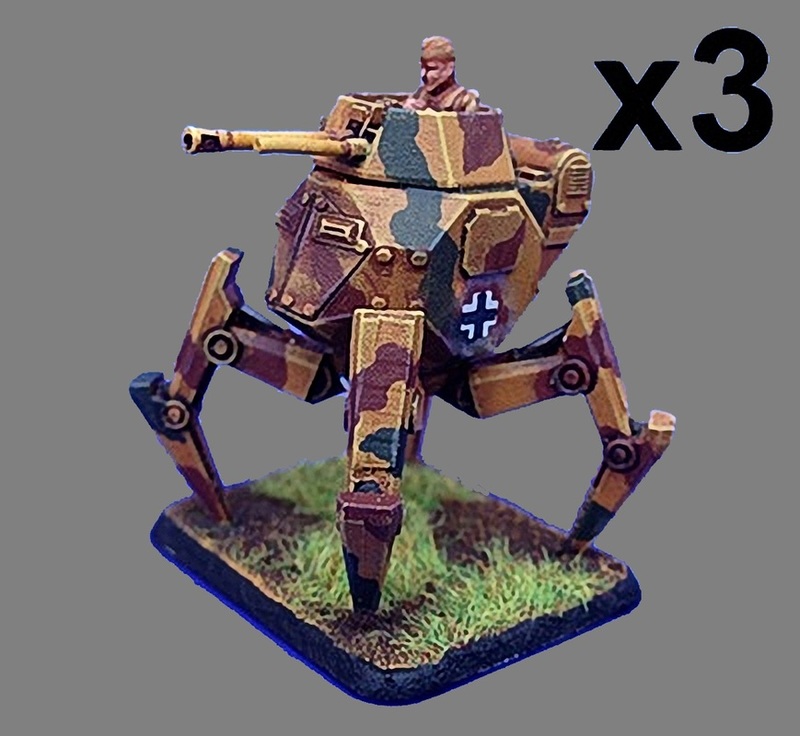 Blister pack contains 3 x 15mm resin and metal finely detailed German light 'Spinne' mechpanzer walkers. 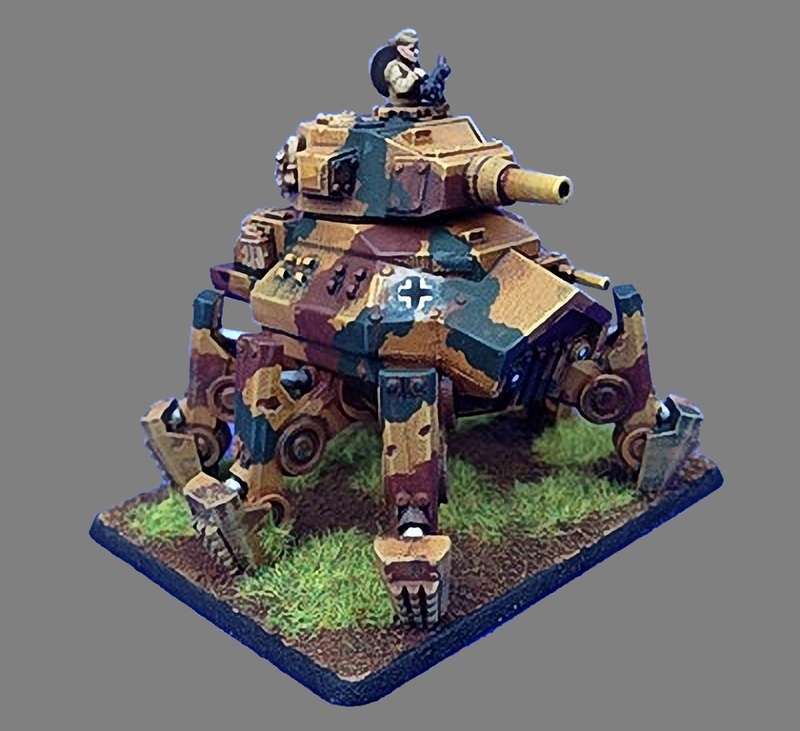 Blister pack contains 1 x 15mm resin and metal finely detailed German 'Thor' heavy mechpanzer.